Today I tested my first ever quadcopter, built as part of a recent workshop at the Vancouver Hackspace (VHS) . My initial test flight lasted a whopping 10 seconds and ended with a spectacular crash on the concrete parking lot in front of VHS, just minutes after I finished my build. The “landing” broke the original legs and one of the arms. Nothing that some glue and duct tape could not fix, fortunately. I couple of trees tried to get in the way, but no quadcopters, dogs, humans, or large vegetation were harmed in the creation of this video. 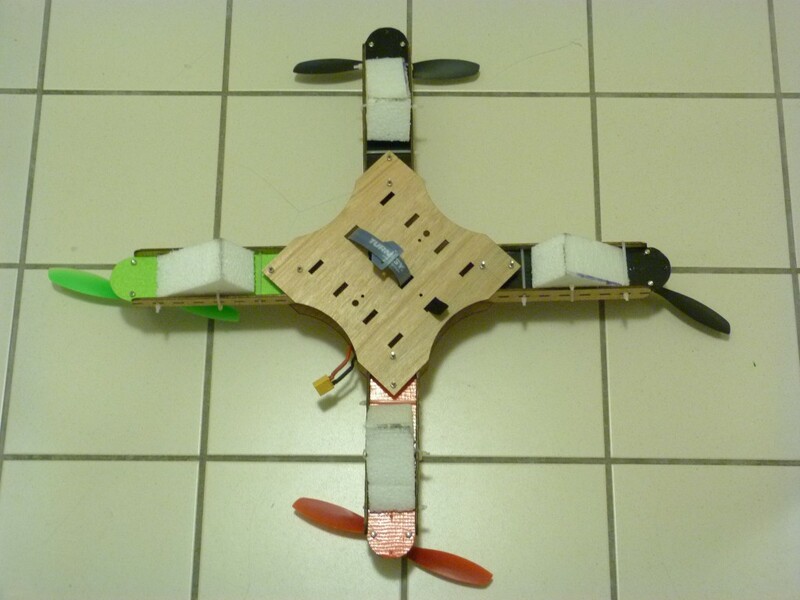 Ted also built a version of this quadcopter, so there will be more videos of crashes and mods in the near future. Kudos to you for building your own quadcopter. It must very rewarding to see something you built fly. i know how that feels i am 16 and i built one of my own and i have probably completed 20 or so frames to replace crashed ones.